The first production of the Cherry’s 2018/19 season! 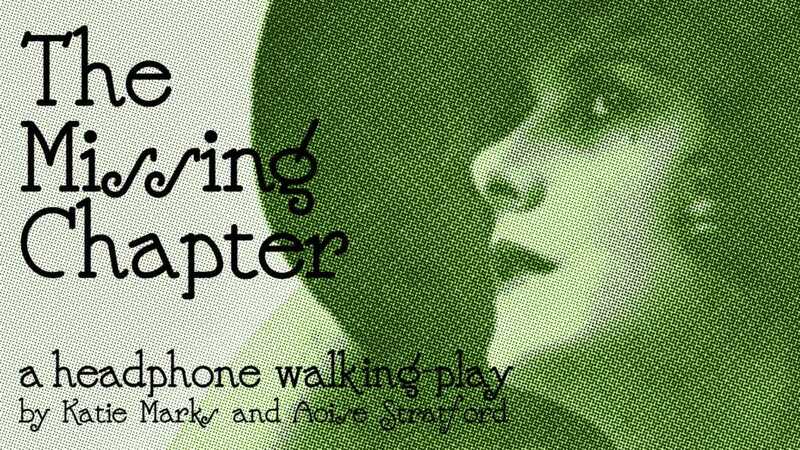 The Missing Chapter by Katie Marks & Aoise Stratford is a brand new “headphone walking play” based on Ithaca’s silent film past, produced in collaboration with Wharton Studio Museum with support from Friends of Stewart Park. Running Fridays- Sundays August 31–September 9, with walks beginning at the Stewart Park Pavilion every 15 minutes during showtimes. Spots are limited. RESERVATIONS HIGHLY RECOMMENDED! In The Missing Chapter, text, dialogue, music, and sound effects interweave to create an immersive theatrical experience unlike anything else in Ithaca. Audiences will wend their way through Stewart Park as they uncover missing chapters of Ithaca’s silent film history. Travel back to the days of the Women’s Suffrage movement with Wharton Studio’s silent film heroine Beatrice Fairfax—advice columnist for the lovelorn and amateur sleuth! Solve the Mystery of the Missing Chapter, and discover a fascinating piece of Ithaca’s geography and heritage that’s been hiding in plain sight. Audience members who participated in Storm Country, The Cherry’s original headphone walking play, will recall the thrill of traversing Ithaca on foot* while being immersed in a theatrical experience like no other. MEET AT THE PICNIC PAVILION!